Cancer is one of the most serious and fatal diseases known to the world. Although with the advent of technological advancements, it is possible to treat cancer now, yet the impact it leaves on the entire body cannot be ignored. Often the impact seems to be more exhausting than cancer itself. 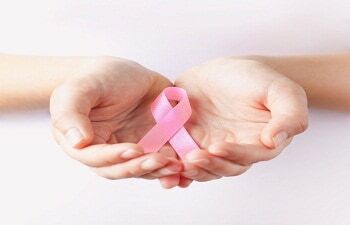 Hence in case a woman or a man has been diagnosed with cancer and is supposed to undergo cancer treatment, she or he is bound to wonder about the consequences and the impact of the treatment on their fertility. Treatments for cancer like chemotherapy are highly invasive procedures. It is impossible to claim that cancer treatment will not affect an individual’s fertility. But it cannot be ascertained as to what extent will the treatment affect the fertility of the individual. Chemotherapy is designed to kill quickly dividing cells. These cells can include cancer cells as well as normal cells such as eggs or sperm. The extent of risk is directly connected to the extent of dose, the length for which dose is being given, and also the person’s age at the time of treatment. Also, chemotherapy is never done in just one session. It is always performed in multiple sessions. These multiple attacks on the cell increase the risk of infertility problems. In males as well the same can be said about chemotherapy or other cancer treatments and its effect on male fertility. The stage and dose of treatment determine the effect on fertility. Also, some effect might be temporary while some may become permanent. For eg azoospermia may be temporary. A definite effect of chemotherapy has been low sperm count in males which might lead to infertility. There might as well be an effect on the structure of DNA thereby leading to genetic disorders. At times when treatment for cancer includes surgery, then there are permanent damages done to the fertility of the individuals. For eg in the case of removal of ovaries or the fallopian tubes would lead to permanent infertility, as removal of these parts would disrupt the process of reproduction. Doctors and specialists all over the world are trying to find out less invasive methods or procedures that might not end up affecting fertility and other health parameters post-treatment of cancer. But as of now the treatments which are available for cancer are bound to affect fertility in one way or the other. But one should consult with their doctors to find alternatives for the same. ⟵Can one personally check sperm quality?